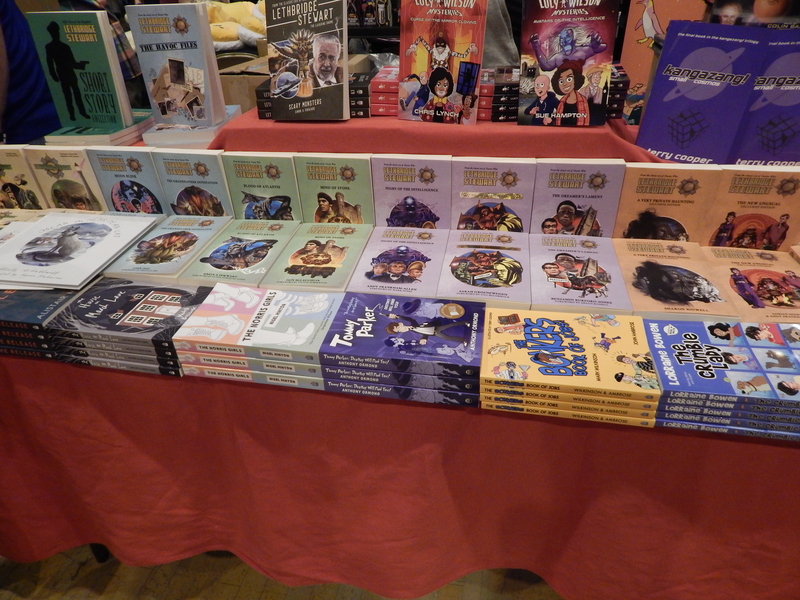 James Grant visits Film and Comic Con Cardiff - check out what was there and find out when the next dates are! As you may know, I love attending different events in my area. I always see events as a way to see the best in a hobby, whether that’s gaming, anime, or the nerd culture in general. And in Cardiff, there is no bigger event than Film & Comic Con Cardiff. 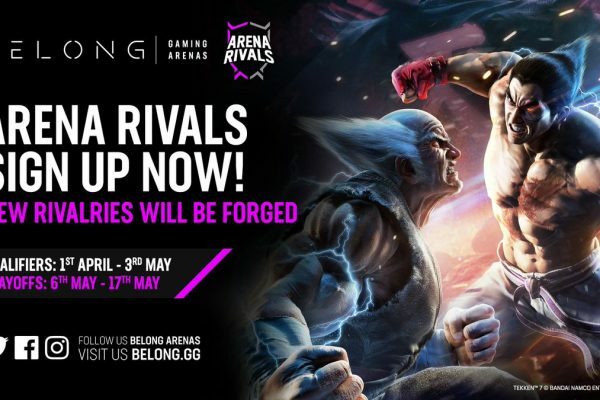 So when the Welsh Gaming Network asked me to attend as a press writer, I leapt at the chance. As with every year, the event took place at the Cardiff Motorpoint Arena, right in the center of town. I attended on the Saturday, which generally is the busier day of the weekend, and signed in at the door. Walking into the event, I noticed the biggest change in the arrangement of the show floor; a section of the floor had been used to create a stage area, complete with a sizeable seating area with activities that I will discuss later. When it comes to Film and Comic Con Cardiff, there are always a few major attractions that are unique to the event. Celebrity guests attend every year and this year was no exception. Guests this year included Harry Melling, who is most famous for his role as Dudley Dursley in the Harry Potter series; and Anthony Head, notable for roles in Dr.Who, Merlin, and Buffy the Vampire Slayer. 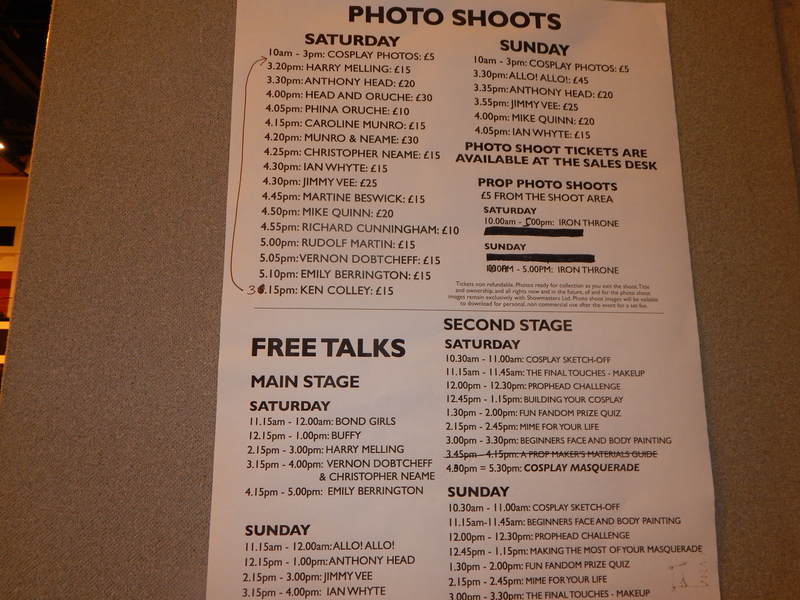 During the two days fans can chat with these guests, get autographs and have photos taken with guests by a professional photographer. The guests themselves vary in terms of genres, from sci-fi stars and TV show guests, to Artists and this time even two Bond Girls. I didn’t get a chance to have a long chat with any of the guests this time due to queues and a busy schedule, but prior to this event I have chatted with various guests and they have always been welcoming and humbled by the interest of fans and from what I saw, this year was no exception. As I said earlier, there was a major addition to the main floor this year and boy was it a great change to see. This year, a large portion was of the what would regularly be stalls were removed in favour of a new stage where talks and panels would be held. Typically events like these had only occurred in conference rooms located elsewhere in the building and were generally hard to attend due to space limits in rooms prior. However, this stage was closer to the entrance of the event and made its presence known immediately to visitors. Throughout the day, I caught snippets of talks by professional cosplayers on using the right tools and materials to build outfits and props, quizzes for guests that included prizes, and finally, at the end of the day there was the Masquerade. I have previously seen masquerades at events such as Cardiff Anime and Gaming Con, but to see Film and Comic Con giving fans a chance to show off some impressive costumes and props, and giving the community a chance to grow and celebrate cosplay was something I was most pleased to see and it is something I think they should develop in the future. 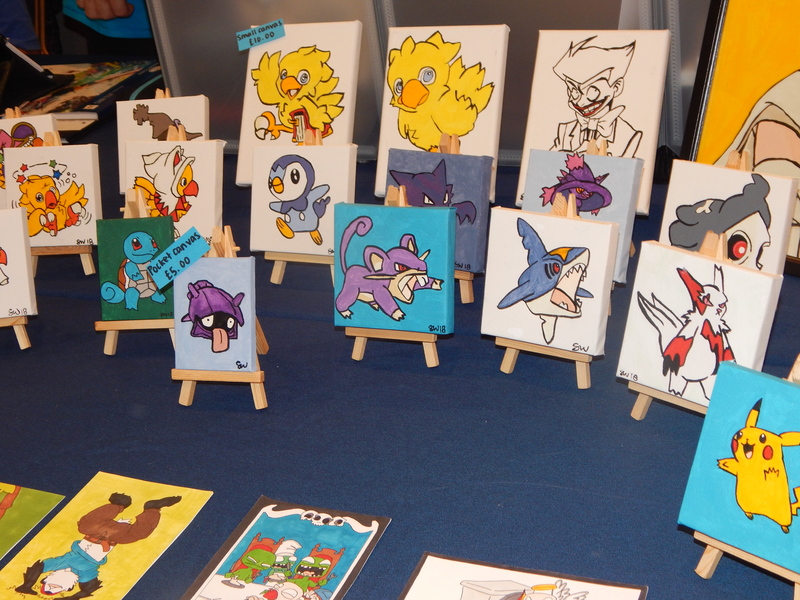 To complement this, several stalls were rented by professional prop makers, cosplayers, and artists to show some off their techniques and skills. As someone who has dabbled in making props for my own cosplay in the past, this was a welcome breath of fresh air compared to the large presence of merchandise stalls from previous years. I recall one stand featuring some amazing recreations of the famous Predator head from the film of the same name, recreated in a series of amazing colours! Another were based around recreations of the Star Wars mercenaries, the Mandalorians (Jango and Boba Fett are notable characters). Overall, the change to a stage were welcomed by many and I was glad to see the event evolve to fit new desires from the fans. The hall is huge and full of awesome nerd culture! 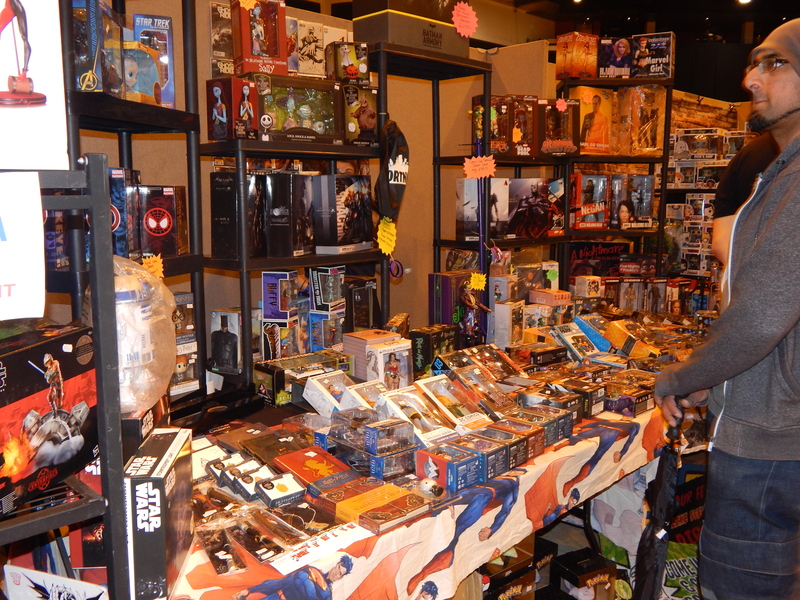 Merch stalls like these sell a bit of everything, well worth a peek! 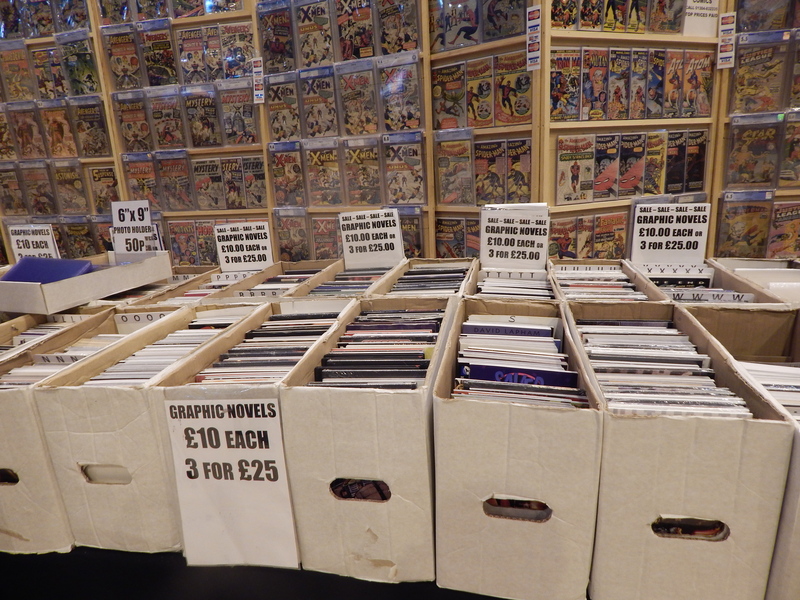 Would be a Comic book event without a Comic Book stall would it? 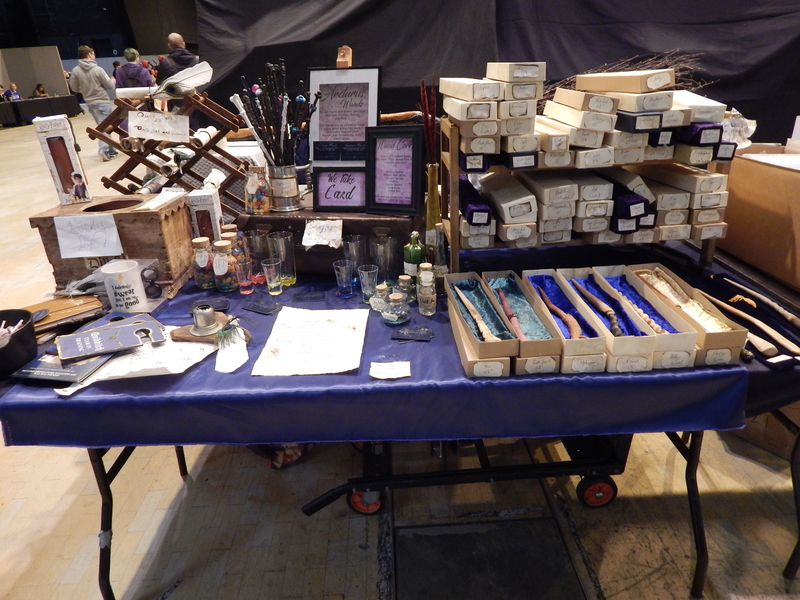 This stall made custom wands in the style of Harry Potter! Board gaming table. So much choice! Speaking of changes, there was one final chance that I truly loved. At the back of the hall, near the guest tables, was a low-walled area with a series of tables and such, which I initially thought was some sort of food area. On further inspection, the entire area was designed with board and tabletop games in mind. 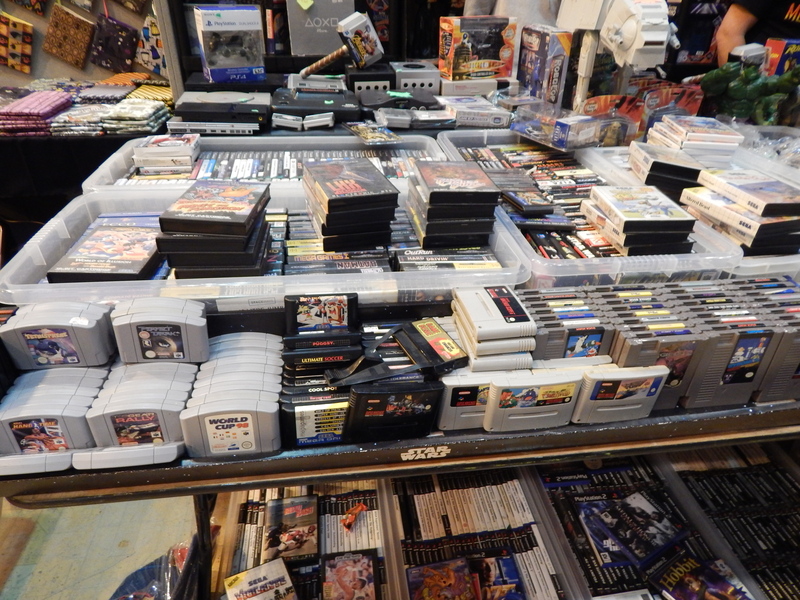 A table with various boxes of popular games was present at the back, and all games were free to pick up and play. Personally, I think this is a wonderful idea. The biggest issue I have found with board games has always been finding like minded players to join in with. 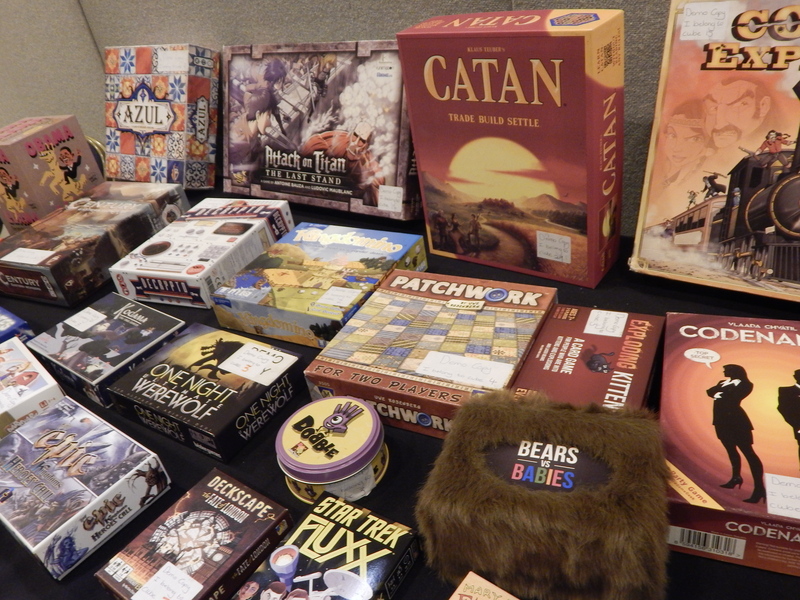 Each time that I passed this gaming corner, every table was full of people of all ages, mixing and mingling, enjoying some of the best that board gaming has to offer. 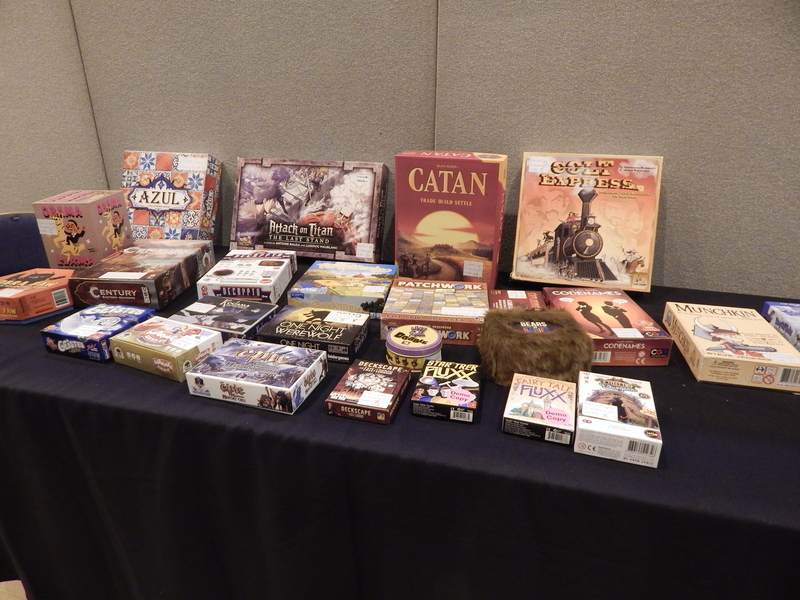 I saw Munchkin being played, Ticket To Ride (a personal favourite), among card gaming like Pokemon and Yu-Gi-Oh! To summarize everything in one succinct little sentence, this year Film & Comic Con Cardiff realized that there is competition for events in the nerd culture now, and they came out stronger than ever with some great guests and a new layout formula, while keeping the essence of what made prior events great! I hope that the next event continues this fresh new feel once again! 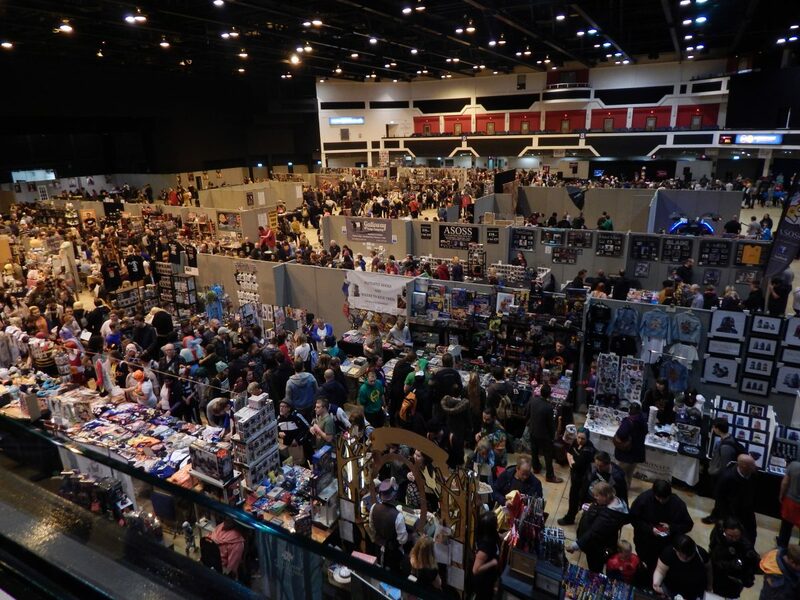 Film and Comic Con Cardiff will be returning to the Motorpoint Arena on Saturday 9th & Sunday 10th March 2019, with ticket prices starting from just £8. Check out their website for more details and guest announcements. Hey everyone! I'm James, a writer and the Overwatch Team Captain for WGN! I've been a big gaming nerd since the age of three, growing up on the likes of Sonic, Pokemon, Tekken, and the like. When I'm not gaming on any device I can get my hands on, I'm working my way through a Computer Science degree and would love to develop a game someday. Do you want to suggest a game for me to review? Tweet me with a game and I'll try my best to play it.